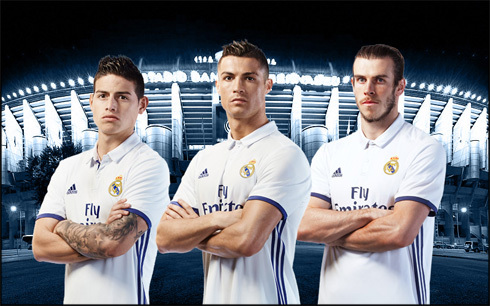 Coming off an almost perfect season, Cristiano Ronaldo and his Real Madrid teammates are about to kickoff with their 2016-17 campaign suited up in style. In July, the club has announced their new kits for this season and besides the primary colors picked for the second and third jerseys, there are also a few subtle differences on several details embroidered on the shirts and on the whole kit in general. You can find all these kits and already order yours online. The Merengues will make their debut this season against Sevilla this next Tuesday (August 9), and the winner will take home the first European trophy of the season, the UEFA Super Cup. 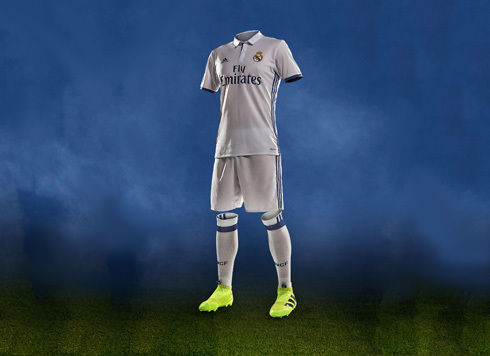 The new kits' announcement was made by Real Madrid and Adidas last month on July 14, even though the TodoSobreCamisetas blog had already already leaked several images in early May. The blog has been a reliable source for matters like these for years now and once again, they seem to have gotten in right with nearly 2 months of anticipation. 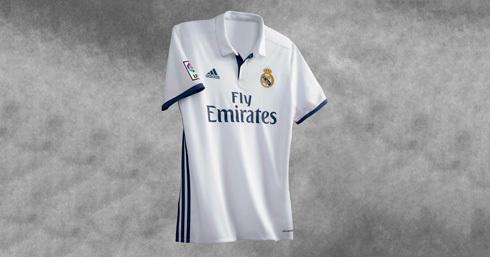 The home and primary kit is composed of a white jersey designed with a polo-style collar and will have its stripes details in blue. Shorts and socks will be white. 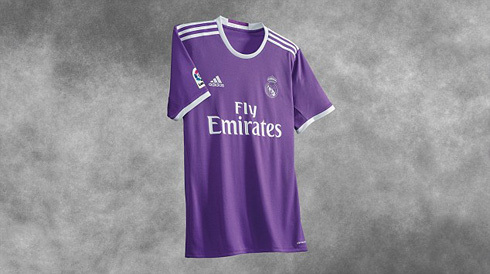 The away outfit is going to be all-purple (shirt, shorts and socks), with its collar, stripes and details in white. 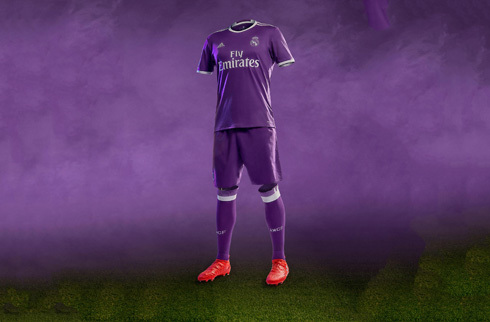 It's also the first time Real Madrid returns to a purple jersey since the 2010-11 season, back in the days when José Mourinho was still at the helm of the club. 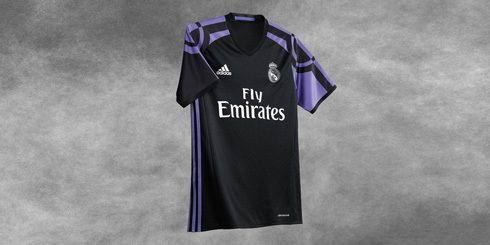 The third kit was unveiled separately last week and it basically combines the black primary colour with details in purple. On its shoulders, the jersey shows the path straight from the Santiago Bernabéu stadium to the Cibeles square, the place where Real Madrid usually celebrates their trophies. As for shirt numbers' changes and even though the transfer windows hasn't closed yet, the club has already announced Dani Carvajal will switch from #15 to #2, Varane will go from #2 to #5, Lucas Vázquez from #18 to #17, Fábio Coentrão from #5 to #15 and Álvaro Morata resigned from Juventus will take jersey #21. All others are expected to maintain their previous shirt numbers. Cristiano Ronaldo next game for Real Madrid is the UEFA Super Cup Final on August 9 of 2016, against Sevilla. You can watch Juventus live stream, Real Madrid vs Sevilla, Mainz vs Liverpool, Manchester United vs Leicester City, Arsenal vs Manchester City, and Werder Bremen vs Chelsea, all matches provided from our live football game pages.